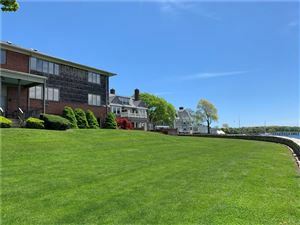 As an agent who is a total "house junky" and likes all houses, new and old, and who knows the markets in Rhode Island and nearby Massachusetts, I bring a wealth of knowledge and expertise about buying and selling real estate. My educational background is in historic preservation and thus my specialty tends to be historic properties. I can work with you to find the right home at the right price for you, including all the neighborhood amenities that matter - not to mention the essential criteria you have for your ideal home. I am very good at listening to your needs. I will sit with you and listen to you talk about your house and can offer you advice in getting your house ready for the market. And what I have that other agents with other agencies don't all have is the strength of Coldwell Banker and its impressive presence on the internet. We'll talk marketing, pricing and readying your house for the market. All these details can make the difference between a home resting on the market and one that will sell quickly.